Chris Olson is a dedicated jazz educator as well as performer. 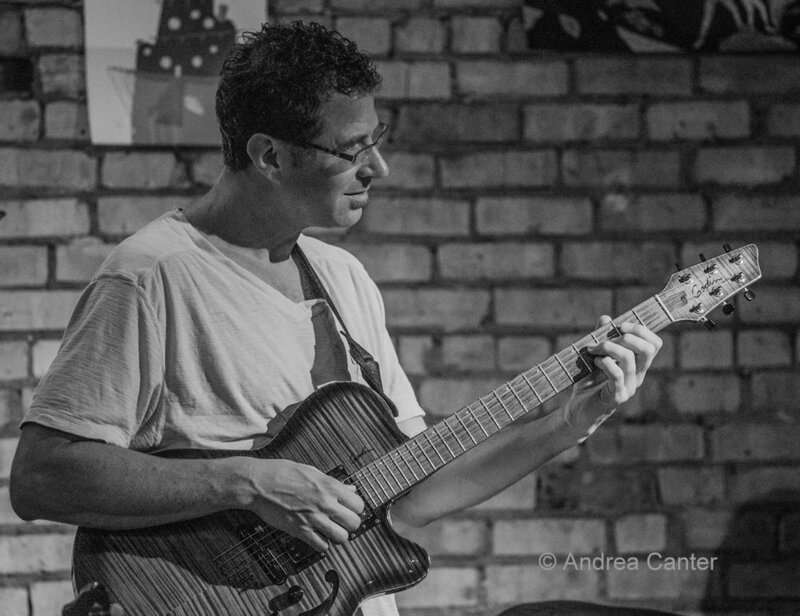 Since earning a master’s degree in jazz studies/performance from the University of North Texas, he’s taught guitar, jazz history and improvisation as well as directing jazz ensembles at UW-Stevens Point (where he earned his undergraduate degree), Wausau Conservatory of Music, UW-Marathon County, and Inver Hills Community College. Currently on the guitar faculty at McNally/Smith College in St. Paul, he also teaches guitar lessons and jazz combos at the MacPhail Center for Music and summer programs at the Shell Lake (WI) Arts Center; he serves on the Board of the Minnesota Guitar Society. Chris has performed with Bob Mintzer, Louis Bellson, Terry Gibbs, Ira Sullivan, and Bobby Vinton, and has appeared frequently at the Black Dog, heading his monthly “Chris Olson Project” as well as performing in other ensembles such as Framework.